Marijke Wilkins | Strategic Benefits & Insurance Services Ltd. 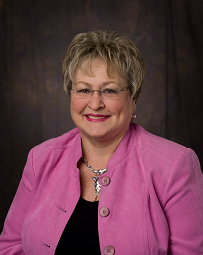 In early 2012, after 32 years, Marijke retired from Kelly Services, a global staffing and workforce solutions company serving the southwestern Ontario region. Since coming to Kingston in 1990 Marijke held many management positions including Branch Manager Kingston and Area and had the priviledge of working with many private and public businesses in the Napanee to Ingleside region. Many who have met Marijke know her to be committed to her clients and for being a friendly face that everyone can talk to. Marijke believes in supporting her community and in helping those less fortunate. Her community involvement includes past Director of the Greater Kingston Chamber of Commerce, past Chair of the Easter Seals Telethon and past President of the Kingston Rotary Club, where she still remains an active and supportive rotarian. Marijke brings her vast knowledge and understanding of the Greater Kingston and Southeastern Ontario workforce to Strategic Benefits & Insurance Services Ltd. where she will assist us in finding effective and comprehensive employee benefit solutions for local businesses and their employees. Welcome to the Strategic team Marijke! You can email her at [email protected].